Looking for movie tickets? Enter your location to see which movie theaters are playing Venus (2006) near you. 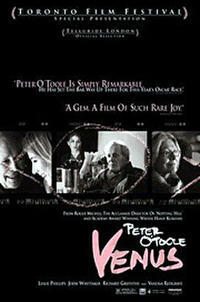 A young woman turns a veteran British actor's (Peter O'Toole) life upside down. Superb acting on life's journey; not for kids.